Success in Drama Festival !!! On March 12th, , members of Grupa Pod Wiszącym Kotem took part in Scenes from Shakespeare Festival in English. The competition was held in Lublin. 22 groups from the whole of Poland applied to participate in this contest. At the beginning, alumnus of our school – Konrad Popczyk, who had won Grand Prix in 2015, presented his monolog and told the audience about his stay in London (which was the prize). Outside the competition, Panopticum Theatre showed us a play called: „A time for such a Word as Death”. In my opinion, it was a masterpiece. Students from our school acted in two plays: “Seven” prepared by Prof. Beata Gendek – Barhoumi and “Chodź, tnij taśmy gorsetu” directed by Ewa Całus, Dominika Kałuzińska and Ewa Szyja. The English language consultant was dr Agnieszka Markowska. The first play was awarded with 3rd place. Afterwards, there was another competition refering to death in Shakespeare’s tragedies. Everybody was quite content, because they put a lot of effort into preparation. Students also gained experience which will definitely help in their further adventure with drama. 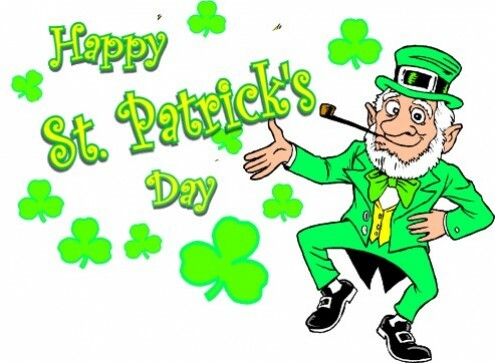 Saint Patrick’s Day is celebrated worldwide by Irish people and increasingly by many of non-Irish descent. The oldest and largest parade in the world is held in New York City. Parades also take place in Dublin and in most other Irish towns and villages. Other large parades include those in Savannah, Georgia, Manchester, Montreal, and Boston. Large parades also take place in other places throughout Europe and the Americas, as well as Australia and Asia. Romano-British Christian missionary and bishop in Ireland. 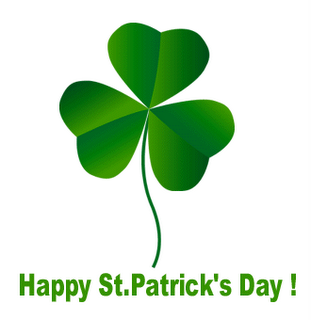 The shamrock was chosen Ireland’s national emblem because of the legend that St. Patrick had used it to illustrate the doctrine of the Trinity. The Trinity is the idea that God is really three-in-one: The Father, The Son and The Holy Spirit. The name leprechaun comes from the old Irish word “luchorpan” which means “little body.” A leprechaun is an Irish fairy who looks like a small, old man about 2 feet tall. He is often dressed like a shoemaker, with a crooked hat and a leather apron. According to legend, leprechauns are aloof and unfriendly. They live alone, and pass the time making shoes. They also have a hidden pot of gold! 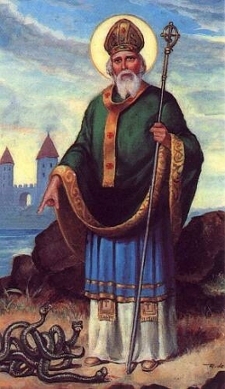 Wearing the color green is considered an act of paying tribute to Ireland. It is said that it also brings good luck, especially when worn on St. Patrick’s Day. Many long years ago, playful Irish children began the tradition of pinching people who forgot to wear green on St. Patrick’s Day and the tradition is still practiced today.